The idea was assessed and enthusiastically accepted by ‘Idea Street’, the Met Office’s platform for innovative ideas. From then on, the Met Office encouraged and supported the vision. The Dementia Friends Champion role seemed a perfect place to start. Training took place in Bristol in April 2014 and the Dementia Friends presentation has benefitted many. Creating Dementia Friends helped to achieve the objective of increasing awareness and understanding of dementia. The Dementia Friends presentation could be delivered in the community as well as at the Met Office. This is entirely in keeping with the Met Office ethos of helping our community. In June the Union, Prospect, was sponsoring a UnionLearn (Tribal) distance learning course in Principles of Dementia Care level 2. Mary felt this would provide her with invaluable knowledge for the Dementia Carer Network Group she planned to create at the Met Office in July. This course is very interesting and full of useful knowledge. It taught Mary so much that she wished she had known when caring for her mother. Knowing that her mother would have appreciated her being able to help others, Mary dedicates her efforts to her mother’s memory. The Met Office was extremely supportive and Prospect sponsored Mary’s study. A successful Dementia Carer Friendly Workplace depends on buy-in from leadership as well as permission and encouragement for colleagues to engage. This is definitely not a tick box exercise. All your people can see how much you care about your people. The benefit is not only to dementia carers. By June Dementia Friends sessions were delivered monthly at the Met Office, as well as in the wider community. In December 2014 the Met Office Executive had a Dementia Friends session. This was well received and ensured their full support. In 49 sessions 415 Dementia Friends had been created. Who was eligible to attend? Past carers; current carers; carers at a distance, carers who were the partner of a member of staff; members of staff who had a partner who was caring; retired staff who are carers; carers from other organisations working on site. All encouraged and welcomed. The Dementia Carer Network Group started off in a small way in July 14, growing steadily and providing a valuable service to many colleagues. Meeting monthly, our focus was more on practical help than on process, the approach informal and informative. Feedback from members of this group was positive, giving us new insight into the issues faced by dementia carers and former dementia carers. It was heartening to see members emailing one another to ask for advice or support outside of the meetings. Reviews of our approach, lessons learned and workshop feedback helped to adjust the model and try new ideas. This was a very interesting development. At first we imagined that buddies would pair to carers with similar experience to themselves to be effective… far from it. In fact we learned that when a carer needed to talk, it made no difference whether the buddy was a current or former carer or what type of dementia they had been dealing with, so long as they had some experience of caring for a person with dementia. 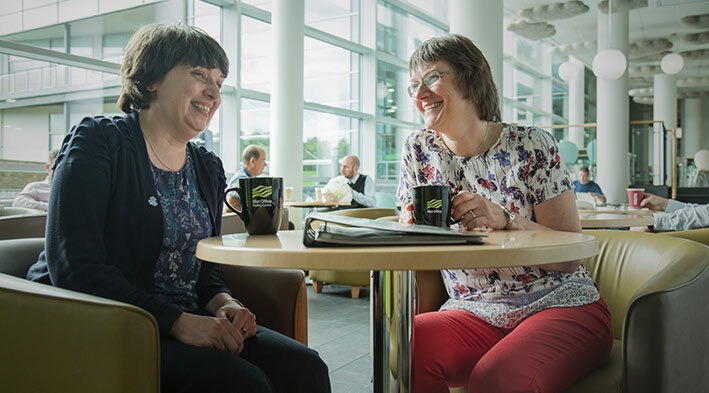 Any employee could access a carer buddy, not just members of the network group – and you could have more than one buddy. Carer Buddies were asked what they had found challenging about being a carer, what help they had received, what they had learned which they could share and finally what they wanted to know more about. (Receiving this information from all carers would be even more helpful) This information demonstrated the kinds of things which many carers deal with on a day to day basis. Added to our Dementia Carer Network Twiki, it gave insight to other carers and colleagues. Recognising that some carers may not want to attend a group meeting or may not be available at the arranged time, we decided to trial lunchtime drop-in sessions. Carer Buddies and Dementia Network Group members were available to provide support and on our first session we were joined by a member of Alzheimer’s Society, keen to see what we were doing. The obvious benefit to people attending this highlighted the need for these sessions. Before April 2014 any member of staff informing us that they were a carer of a person with dementia would have been directed to various outside organisations/websites. Line Manager support to a reportee who was a dementia carer would depend on their personal knowledge and understanding of dementia and also whether the reportee advised them of their caring role. Levels of support were therefore inconsistent across the organisation. Some staff in caring roles were struggling to cope, not knowing where to turn for meaningful support or advice, feeling isolated and alone and experiencing additional stress as a result. In the past we probably lost good staff because they had to prioritise their caring over their career, workable alternatives left unexplored. By April 2016 the Met Office was leading with this new model of a Dementia Carer Friendly Workplace, focused on supporting dementia carers and recognising that dementia touches so many people beyond the person who has this terminal disease. Colleagues were more aware of the issues faced by dementia carers. Even those who had not been personally affected were engaging in the initiative and expressed their pride in what the Met Office was trying to achieve for vulnerable colleagues. Colleagues were engaged – we received regular emails or messages from them about new research or updates on dementia. With a dedicated intranet page and a real person who was the focal point, it was easier to seek help and signposting. Not only Met Office colleagues, but also contractors working on site benefitted from the information and awareness sessions and from being able to belong to the network group and access carer buddies. Mary had become the Dementia Carer Workplace Lead on the committee to make Exeter a Dementia Friendly City (EDAA) and the Met Office was an active member. Through EDAA Stephens Scown solicitors’ were interested in our model. Their HR Director requested mentoring support. In November 2015 they started up a Carer Network spanning their Devon and Cornwall offices and including dementia carers. Their success shows that the model can be repeated. In return Stephens Scown solicitors delivered presentations on Power of Attorney at the Met Office, followed by free 10 minute legal drop-in lunchtime sessions open to all. The Dementia Carer Friendly Met Office project was runner up in the 2015 Association of Project Management Mike Nichols Award for Inspiration – An inspirational project which helped a community. The winner was a project which, realising that Ugandan secondary education was not teaching core subjects, redesigned the curriculum. Colleagues in the Dementia Carer Network Group expressed their relief in no longer feeling isolated or alone. Prospect Union put forward a proposal to allow special paid leave in emergencies for carers, including dementia carers. This was to address inconsistency of line management and provide helpful short-term support when needed most. Although our focus was squarely on our carers, if a member of staff were to be diagnosed with dementia, increased awareness and support would now be available to them. 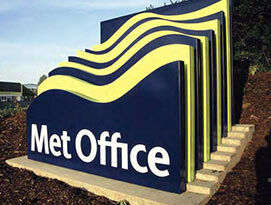 The Met Office was in a better position to support a good work/life/carer balance for carers of a person with dementia. We learned lessons and reviewed our approach to being a Dementia Carer Friendly workplace. Since the Met Office has led the way and demonstrated the benefits, the model has been applied to other organisations and businesses. 4 Dementia Carers is spreading this important work. You could help to reduce impact of dementia on the health and wellbeing of your colleagues. The Dementia Carer Network group worked together with other network groups on some issues. Much of what we discussed also applied to work, team or life skills. I am sure that more carer support groups will emerge at the Met Office in the future. One recent addition has been Mental Health Ambassadors. The Dementia Carer Network Group and Carer Buddies are still active in November 17. Feedback from the Dementia Carer Friendly Met Office project provided valuable information which can help other organisations. The Dementia Carer Friendly Met Office pilot became something colleagues were proud to be a part of. We hope this inspires other organisations to develop Dementia Carer Friendly Workplaces.